PHOENIX – Phoenix kindergartners recently explored the world of paleontology during a virtual field trip to the Carnegie Museum of Natural History. Students in Mary Paye’s kindergarten class at Maroun Elementary School participate in the Dino Dig videoconference. In collaboration with the Center for Instruction, Technology & Innovation, students in Mary Paye’s kindergarten class were connected to the museum through the Dino Dig videoconference. The interactive program featured a dinosaur expert who, through hands-on activities, demonstrated the fossilization process. 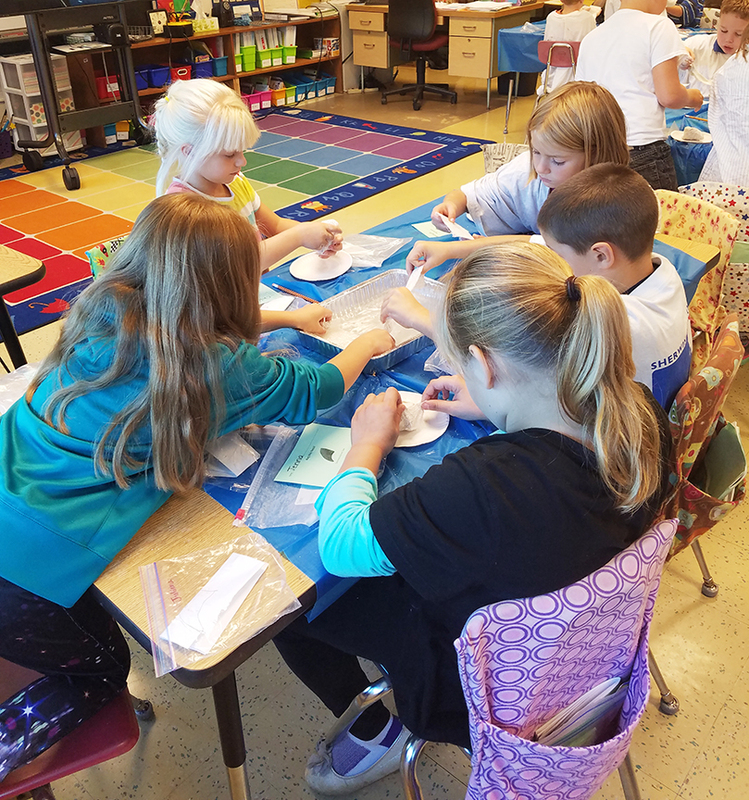 Students learned about the job responsibilities of paleontologists, how fossils are made, and created their own fossils to keep and take home. The lesson infused scientific discovery through the use of technology, which is one of Paye’s ongoing strategies to help reinforce each class discussion. “(I strive to) enhance our classroom’s blended instruction, prepare students for continued use of technology in their classrooms and maintain student engagement and enthusiasm,” Paye said. That strategy played out as students asked questions and were enthralled with lesson throughout the videoconference.